Sun Vegas Casino has been completely revamped to improve the overall experience for all players including fantastic new Bonuses! December 13, 2013 (Press release) – Sun Vegas Casino, Vegas Partner Lounge’s sunniest online casino, has burst back onto the online gaming scene with a hot new look and scorching new offers to match. Its extensive makeover is a ray of sunshine, with a fresh and modern interface that captures the easy-going mood of sunny beaches and summer holidays, and improved functionality to enhance players’ experience playing at Sun Vegas. 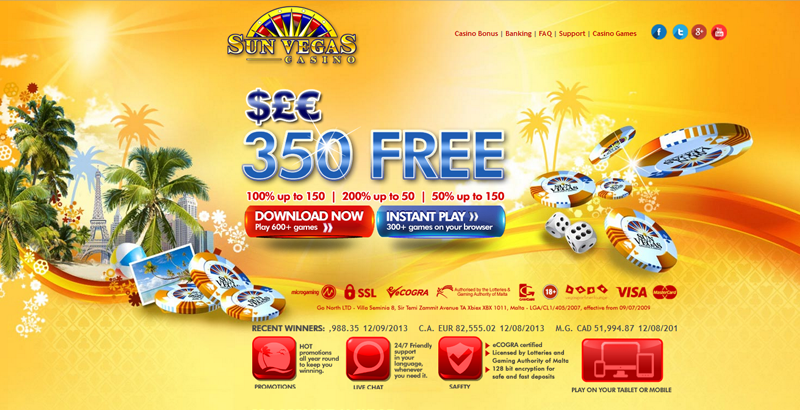 And of course no revamp is complete without new Welcome Offers and Sun Vegas delivers with up to $/£/€350 Free in deposit Bonuses. Since 2002 Sun Vegas has worked at building a dedicated fan base and is committed to providing them with the highest quality service combined with a great selection of games and up to the minute activities and promotions to keep them coming back for more. New and established players are certain to find this dedication has simply been taken up a notch. New players get the warmest welcome at Sun Vegas when they sign up. Their Welcome Offer is a 3-Tiered deposit Bonus, which means 3 generous Bonuses on their first 3 deposits. Players can get a 100% deposit Bonus on their first deposit, up to $/£/€150 Free, 200% on their second deposit, up to $/£/€50 Free, and 50% on their third deposit, up to $/£/€150 Free. That adds up to a red-hot $/£/€350 Free! Sun Vegas has over 650 games powered by leading online gaming software provider, Microgaming™. All tastes are covered, from classic Table Games like Baccarat, Blackjack, Craps and Roulette, to Video Poker and all the latest Video Slots boasting exciting and rewarding features. Together with Progressive Jackpots and regular tournaments and promotions, players have all their entertainment needs catered for. Players can breathe easy knowing that their transactions and personal information is protected with state of the art 128-bit digital encryption technology. Sun Vegas banking is safe and convenient with a wide variety of deposit and withdrawal methods available including Neteller, VISA, MasterCard, MoneyBookers, Click2Pay, ecoPayz, PaysafeCard, InstaDebit, UKash and more. There is also a 24/7 Support Centre that offers multilingual assistance via phone, email or Live Chat. 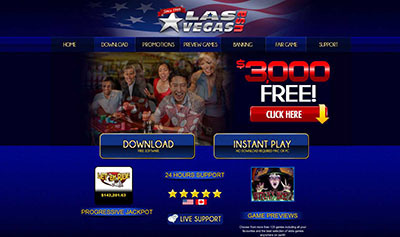 Sun Vegas Casino is part of Vegas Partner Lounge (VPL) – a gaming group that has been around for over 12 years and hosts some of the most prestigious casinos in the online environment. 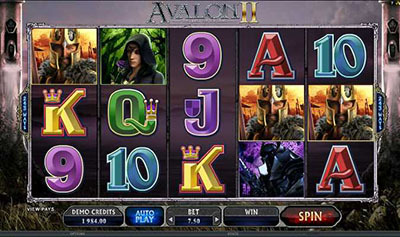 Other brands within the VPL Group include: Golden Riviera Casino, Casino UK, River Nile Casino, 777 Dragon Casino, Cinema Casino, Maple Casino, Casino-Mate, Crazy Vegas Casino. The Deal is Sweet as Maple Turns 7!